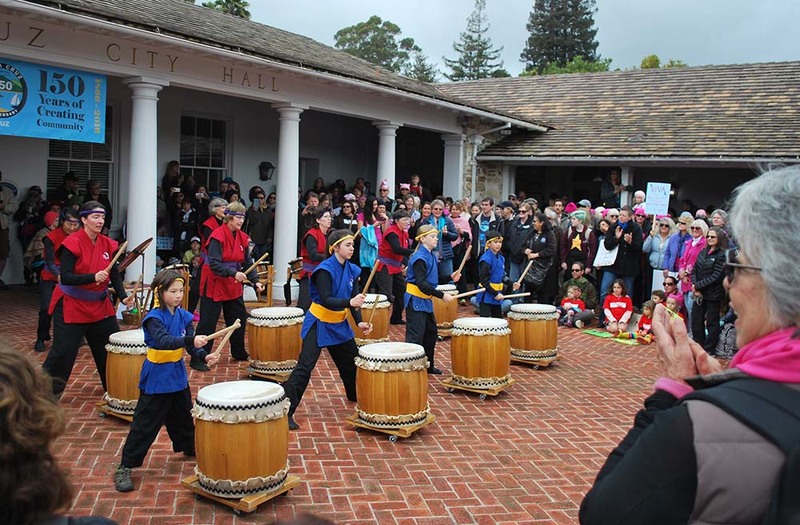 Watsonville Taiko offers five programs at different locations in Santa Cruz County. There are also workshops available throughout the year—please check the website or talk to instructors for more information on these. This class offers an introductory level of taiko drumming for students to learn how to create powerful sounds by opening and being aware of their own channels of energy flow while moving. Taiko is a physical style of drumming that requires an awareness of breathing to keep the pulse of the music. Students learn how to balance their lower and the upper bodies, and how to coordinate between different parts of the body in order to create a powerful sound through motion. The establishment of this performance group is based on our philosophy: “We value our community’s participation in Japanese Folk Art.” Gaining experience in folk art gives students a concrete and clear understanding of certain elements of Japanese culture. The student studies how to play taiko with other drummers. 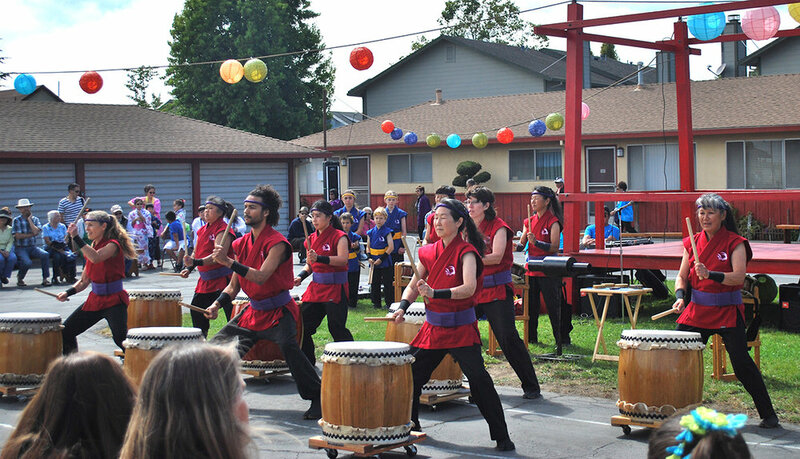 This performance group is open to everyone who has acquired a basic level of taiko skills. Students who wish to be in this program are required to take a test to demonstrate that they can present taiko in front of an audience. In this program, students practice music with conscious movements. Slow rhythm exercises help students develop balance, flexibility, mobility, muscular-joint strength and concentration. The senior program emphasizes the precise movements and rhythms of taiko drumming with an emphasis on focused movement and breathing. Creativity is fostered with the acquisition of skills, which begins with discipline. Students learn the discipline and precision of taiko drumming. Etiquette is introduced along with selected Japanese words and phrases used in the classroom. Simple repetitious rhythm patterns are used to develop coordination. The intermediate-level Children’s Program students learn performance pieces to perform with the community performers. The advanced-level program seeks the development of a refined art form and the artistic presentation of taiko drumming. The children’s advanced performing art group is called Shinsei Daiko. The adult’s group is called the Advanced Performer’s group, and this group mentors the children’s group. The students in these groups study together, both in taiko as well as in other Japanese disciplines to support the expression of their taiko presentation. When you choose the path of taiko drumming you will learn techniques of drumming, as well as appropriate behavior in the dojo for your inner training. Please understand that you have chosen to study a Japanese art form. The goal of this art form and dojo teaching is to value the social cultural idea of “WA” (social harmony) and the parallel development of self-discipline to connect with your essential self. Although you choose to study a Japanese art form, the final goal for this art is to improve “the universal quality of ‘being fully human.”’ We hope students and the supporters of taiko are able to see the wider goal through the way of taiko.